Angels are real. And they come bearing flowers, bringing joy to those in need in and around London. These are Floral Angels; the Flower Market's newest resident. 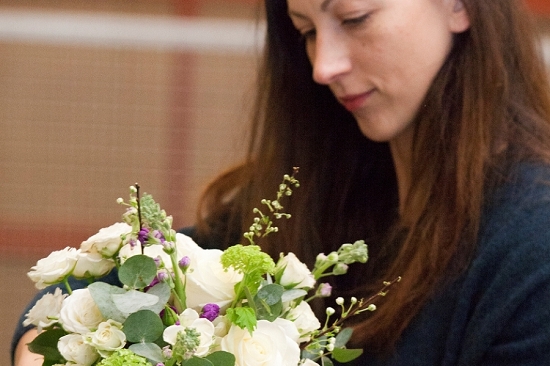 Floral Angels are a wonderful charity that recycle donated flowers from weddings, events, florists and retailers and restyle them into beautiful bouquets/arrangements, which are then delivered to those in need within the community. The Angels deliver to hospices, care homes, women's shelters and cancer centres as well as many other deserving beneficiaries. 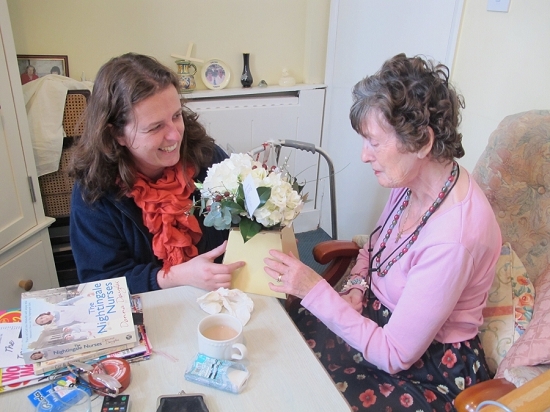 They give flowers to those who rarely, if ever, receive them, brightening their day and improving their wellbeing. New Covent Garden Flower Market is delighted to support this amazing venture. Floral Angels have been overwhelmingly welcomed by the Market's customers and we are thrilled to give them a home in the Flower Market. Frances Hunter, co-founder of Floral Angels, says: "The Flower Market was simply the natural place for Floral Angels to be. It was where we always thought we would like to be based – it's the centre of all things flowery in London and the best possible place for us to reach out to the flower community." 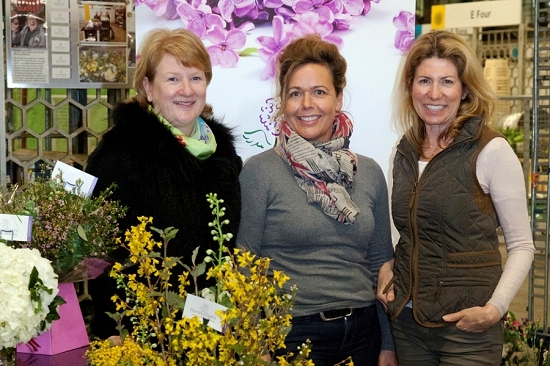 Floral Angels is the brainchild of Frances Hunter, Amanda Romain and Julie Ritter (L-R below) who met on a floral design course in London. While there, they could see that flowers were often discarded after corporate events and weddings, despite still being in perfect condition. They felt there must be a way to not only give these flowers a second life, but also to give something back to the community. And so in April 2013 Floral Angels was born. 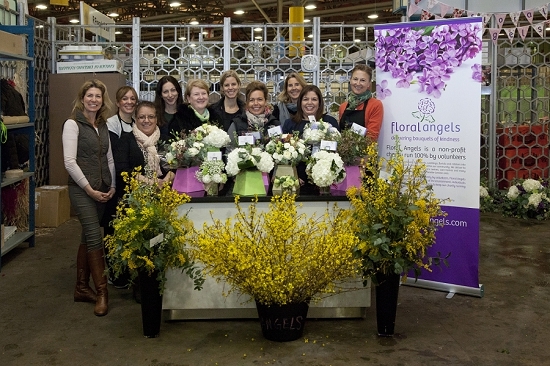 Since its inception the Angels have created and delivered hundreds of bouquets and have received support and donations from some of the UK's top florists and Flower Market regulars including Simon Lycett, Shane Connolly, Pinstripes & Peonies, Neil Birks, Okishima & Simmonds and Elizabeth Marsh. Floral Angels have joined forces with Pollencrew, who deliver flowers to them free of charge, enabling florists to donate more easily. Their team of volunteers take turns to work Mondays and Fridays at their unit in New Covent Garden Flower Market, 're-purposing' the donated flora arrangements as they come in. On the morning we visited they had just taken a large delivery of used flowers from a bride who had donated via Elizabeth Marsh Floral Design. The flowers were being reworked into 35 bouquets which would later be delivered to George Potter Nursing Home in Battersea. Just the week before, The Angels had broken their record for the most bouquets in one week; a massive 75 bouquets made specially for International Women's Day. 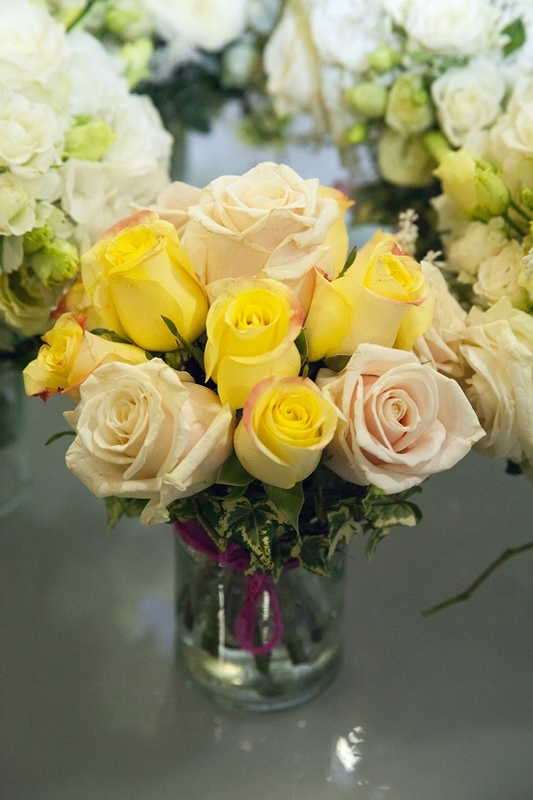 The feedback Floral Angels have received from the recipients of their bouquets has been heartfelt. Hestia Women's Refuges have said that the women in their projects have been moved to tears upon receipt of the beautiful floral arrangements. A bouquet means much more to these women that it does to most. You can read more testimonials on the Floral Angels website. In one year Floral Angels have already achieved so much, but they're just getting started. This year their goals are to raise their profile, secure funding for future years and to get a delivery company on board. They also plan to launch the first of their floral workshops. In the immediate future, the Angels will be hard at work in the run up to Mother's Day, when they will be delivering a bouquet of flowers to every mother in the Italian wing of Great Ormond Street Hospital. Floral Angels have received financial support from Chrysal and a workspace from New Covent Garden Market, but they are always looking for more support. 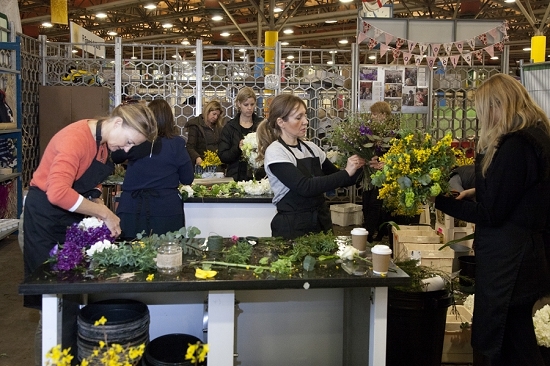 Floral Donations: Calling all London florists - could you donate the flowers after one of your events? Sundries Donations: Floral Angels need sundries (it's one of their biggest costs right now). Any unused vases, pots, glassware that you can spare will be hugely appreciated. Volunteer: Floral Angels are actively seeking volunteers to help create arrangements at the Flower Market currently on Friday mornings but possibly one or two other mornings a week later in the year. Drivers: Floral Angels are enjoying such success that they are in need of more volunteer drivers for a few hours a week on a Monday or Friday to help make deliveries.